Ross Plumbing handles every plumbing challenge. We take on the special projects other companies turn down. Call now at (352) 728-­6053 for service in Leesburg, FL and let’s work out a plan. Why are We the Plumbers to Call in Lake & Sumter Counties? From faucet replacement to drain cleaning, we do it all! Having one go­ to plumber means consistency and quality with every job. Personalized service and competitive pricing­­ only when you choose locally owned companies like Ross Plumbing. Live help is available around the clock so you never have to wait for your emergency to get worse. An experienced tech will be dispatched to your door ASAP. We track down problems so the issue is eliminated at the source. You will only receive accurate solutions that meet your exact needs. We will solve your problem­­ not add to it. When you work with us you won’t have to worry about further problems recurring. 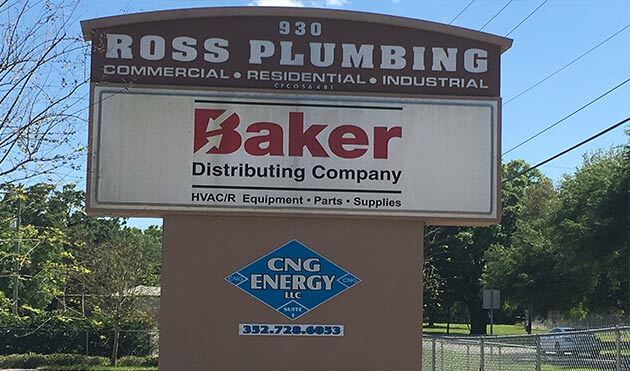 In addition to residential work, Ross Plumbing also has the manpower and technology to carry out large­scale commercial plumbing jobs. We stock materials in our warehouse, limiting our time spent going to the store to pick up supplies or products. This allows us to finish your project faster so you can return to your normal routine much sooner. We aim to complete most jobs in one trip. Our efficient work style does not mean quality is compromised. While we do our best to work quickly, we still ensure that the job is completed at a high level of quality. You never have to worry about a rush job or finding details left unsolved after we close the project. Pricing and job details are presented to you upfront. We do not carry out work that has not been approved by you. This eliminates surprises at the end so you can enjoy the peace of mind you deserve. We know that an educated customer is more satisfied in the long run because they are able to make the best decision for their home or business, on their terms. We treat you with respect­­not subject you to uncomfortable sales pitches. Instead of trying to sell you services you don’t need, we act more like consultants with your best interests in mind. We are not in the business to gouge you or create more problems for you. Our technicians are happy to discuss your project in detail and provide practical, long­term solutions. 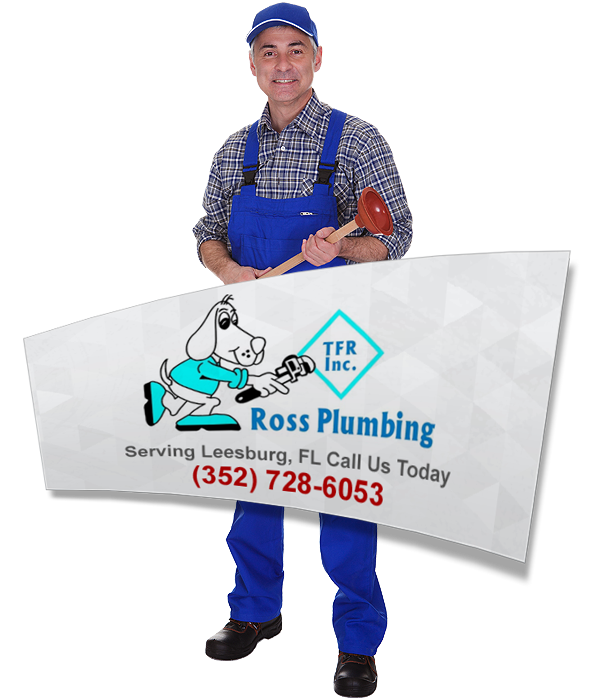 Ross Plumbing has been serving Leesburg for over 30 years. We know the unique plumbing needs of our community and are up to date on all code and safety regulations. This means you can rely on us to provide you with reliable service and solutions that are tailored to meet your exact needs. Every call to our office is greeted by a friendly professional. Contact Ross Plumbing at (352) 728-­6053 and be on your way to greater peace of mind. 24/7 emergency plumbing available in Leesburg, FL and surrounding areas.